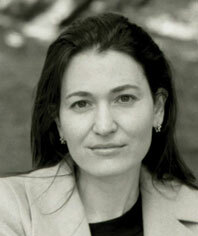 Nicole Krauss has been hailed by the New York Times as "one of America’s most important novelists." She is the author of Man Walks Into a Room, a finalist for the Los Angeles Times Book of the Year; The History of Love, a New York Times bestseller and winner of the Saroyan Prize for International Literature; Great House, a New York Times bestseller and finalist for the National Book Award; and Forest Dark. In 2007 she was selected as one of Granta's Best Young American Novelists, and in 2010 she was chosen for the New Yorker’s ‘Twenty Under Forty’ list. Her fiction has been published in the New Yorker, Harper's, Esquire, and Best American Short Stories, and her books have been translated into more than thirty-five languages. Nicole Krauss lives in Brooklyn, New York.